Be in good standing with the University and have no incompletes on their transcript. PLEASE NOTE: We do not allow seniors to lead or participate in May immersions after graduation. Immersion Experience Student Coordinators serve as a liaison between the student participants of an immersion experience, the faculty/staff liaisons, and the Coordinator of Immersions. The Student Coordinator position is a serious commitment; if offered, this position must be one of your top priorities. Please carefully consider your other commitments before submitting your application. The student coordinator works in collaboration with the faculty/staff liaison and immersion coordinator to develop a sense of community within the group. Student coordinators will work with the faculty/staff liaisons to encourage attendance at Thursday night meetings as well as plan and facilitate additional meetings with their groups. 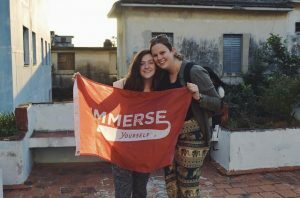 Student coordinators work to ensure that by the time a group departs for their destination, the participants know each other and have become comfortable with group reflection and talking with each other about the issues and themes of the experience. 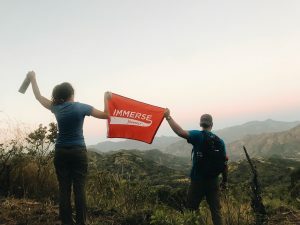 The student coordinator works in collaboration with the immersion coordinator, faculty/staff liaisons, and partner organization to aid students in developing an understanding of the social, political, economic issues, as well as other aspects of the location they will be visiting. This educational development will be guided by the theme or focus of the experience. The student coordinator works with the immersion coordinator to ensure that students are meeting the necessary logistical and funding requirements for the experience. Student coordinators meet on a regular basis with the immersion coordinator to keep the connection between the group and the coordinating office strong. Student coordinators will demonstrate the values of an immersion experience through engaged and appropriate behavior, assist the faculty/staff liaisons in assessing the needs and concerns of the group members, continue to foster a sense of community within the group, work in collaboration with faculty/staff liaisons to facilitate reflection throughout the experience, and serve as a liaison between the group members and the faculty/staff liaisons should any concerns arise during the experience. Student coordinators receive a 25% discount off the student price of their immersion experience. Have two JCU faculty/staff members complete the SC Recommendation Form supporting your application. Reference forms are due the same day as applications. Complete the online application by Thursday, February 7th at 11:59pm. After submission of the application, you will be notified whether or not you have been selected for an interview. Please contact Jurell, Anne, or Julie at immersion@jcu.edu with any questions about applying for a Student Coordinator position.